The second season of the DC Universe original series, Titans, continues to build up speed. Just days after Chella Man signed on to portray Jericho, the show has another star set to join the ranks. 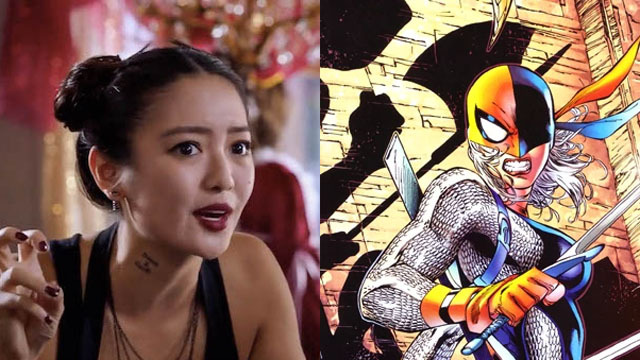 Via The Hollywood Reporter, Chelsea T. Zhang has signed on to portray Rose Wilson, a.k.a. Ravager. As she did in the comics, Rose will likely have an interesting dynamic when it comes to her father, Slade Wilson, the assassin known as Deathstroke. Earlier this month, Esai Morales signed on with the show to portray Deathstroke. Titans season two’s storyline is still tightly under wraps. However, Joshua Orpin’s Superboy will play a major role. Zhang previously appeared on Disney Channel’s Andi Mack series. But she’ll also appear in the Netflix film Daybreak, based on the graphic novel of the same name. A release date for the second season of Titans isn’t on the table just yet, but more news could come in the months ahead. Do you think this is a key casting choice for the second season of the series? Let us know in the comments below!